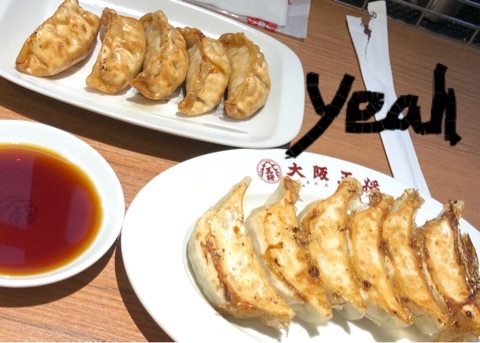 Kisora asks if Yumeno would grill meat for her if they went to yakiniku. Yumeno says she absolutely would not. Kisora says she probably wouldn’t grill, either. 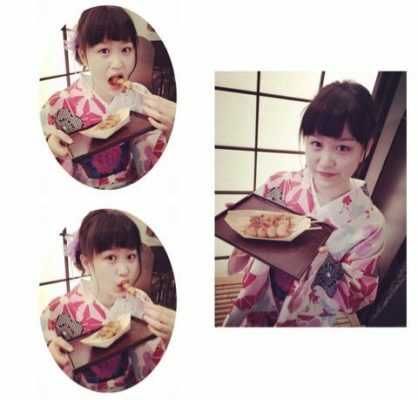 Yumeno elaborates, saying she never knows when to turn it, so she always leaves it up to whoever she’s eating with. Kisora adds that people have different preferences for how they like their meat cooked, so if they barely have a grasp on how long to cook it in the first place, throwing in that extra level of difficulty confirms that they are non-participants outside of eating. 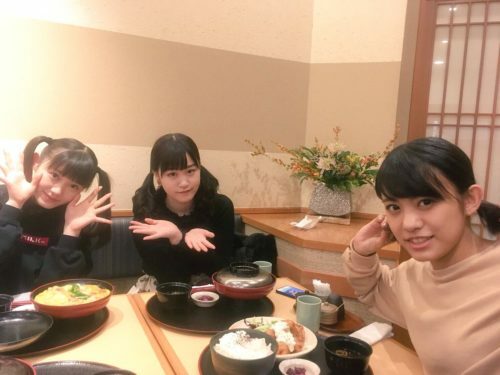 Among Tsubaki Factory members, who go out and grill some meats together from time to time, it’s actually Saori or even Mao who usually does the grilling, as they recall. They find it funny how it’s the members who don’t necessarily have a reputation for being mature or reliable who take control there, while the members who do have that reputation don’t grill at all, or at least not for other people. 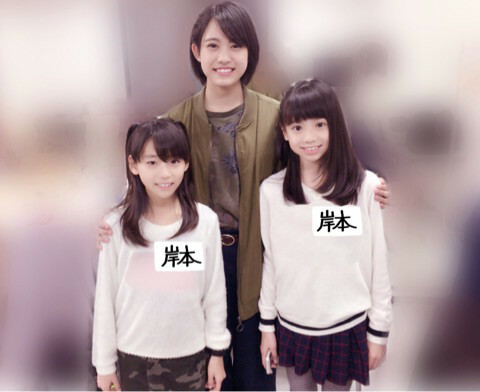 Yumeno laughs because it’s the same thing that Yabako experienced, with the younger or more doted-upon members taking charge. Ultimately they decide they might try grilling it for everyone just once, if only to impress the people who usually cook. Fan Letter #2 – The next letter is from Shiranagi, who wants to know how Tsubaki Factory spends its time in the dressing room. 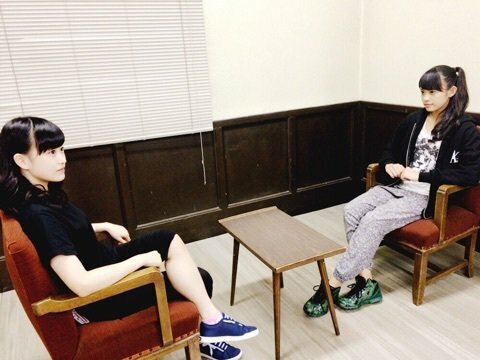 The first answers are expected, that the members spend their time stretching or going over their music with a coach, but then Kisora mentions that she feels like they’ve been spending more time in their dressing room together as all 9 of them, and that has made them do more things together. Yumeno then has a realization: they all do muscle training in dressing rooms together, that if there’s one thing they all do lately, it’s exercising. It’s generally kind of basic, like handstands against the wall, but Kisora enjoys it a lot. In fact, it’s one of her personal goals this year to get all the members to do more exercises like sit-ups when they’re together. She says that it’s almost impossible to keep up a workout routine by herself, which is true for most people, so she wants to have the whole group encouraging each other. She thinks she’ll be able to convince everyone because sit-ups do help the figure, and hopefully everyone will think about how much they’d like to have a nicer midriff. Yumeno laughs because she’s imaging everyone with a six-pack, but they probably won’t go that far. In any case, they’d both like to keep up that routine in the dressing room. Don’t worry, they’re still eating, too. Then it’s time for a song from their new single, which does have three A-sides, but it is Teion Yakedo again. Nothing against the song, but H!P seems to have this deep-seeded fear that if they play more than one song per month, they’re going to lose the small fraction of casual listeners they have. At this point it will be weird to hear a different one, however, since this song has come to signal the end of the show. It’s still worth it to listen all the way to the end for the spelling. I cannot emphasize enough how cute it is to hear idols spell things. Nevertheless, this is the end of our time together for week 4, now on to week 5!